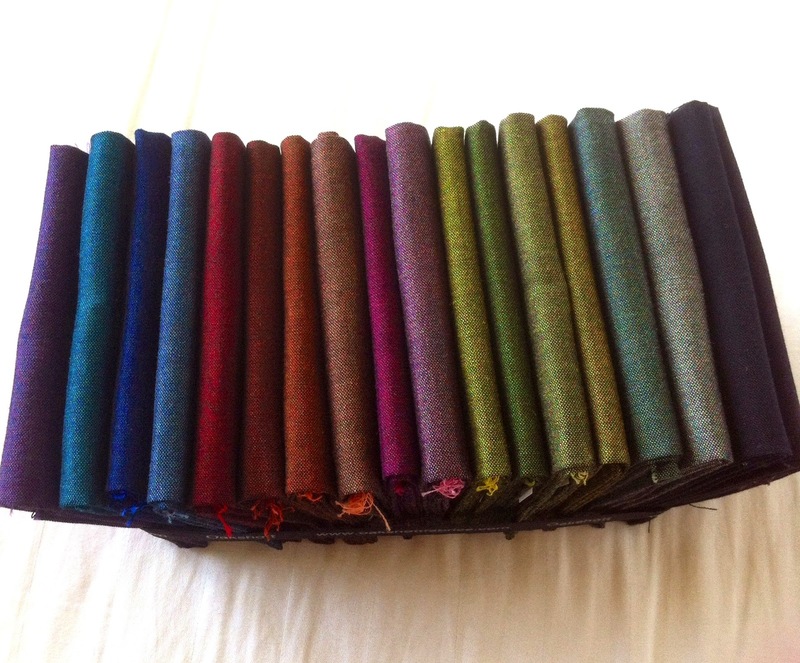 When Lynne from Lily's Quilts put a call out for bloggers to make something with this gorgeous bundle of Oakshott Liparis, I instantly saw pixel potential!! It took AGES for the fabrics to travel across the globe to Melbourne. When they finally arrived, I was so excited!! They were gorgeous!! Rich in colour with incredible depth. Dark (because they are shot with black thread) and luscious. 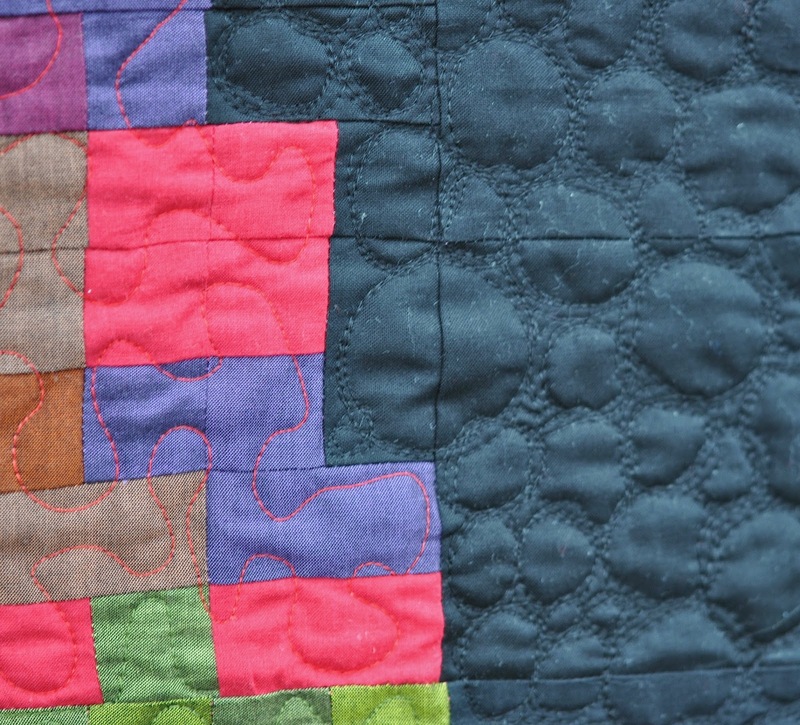 I knew I wanted to create a pattern in YouPatch but YouPatch only works with Kona colors. So ... I got my trusty Kona color card and did my best to match the Lipari colors to the Kona colors. When I had a list of colors, I created an image in YouPatch using these colors. I used most of the Lipari colors and added in some Kaffe Fassett shot cotton in a rich raspberry and also some additional black. 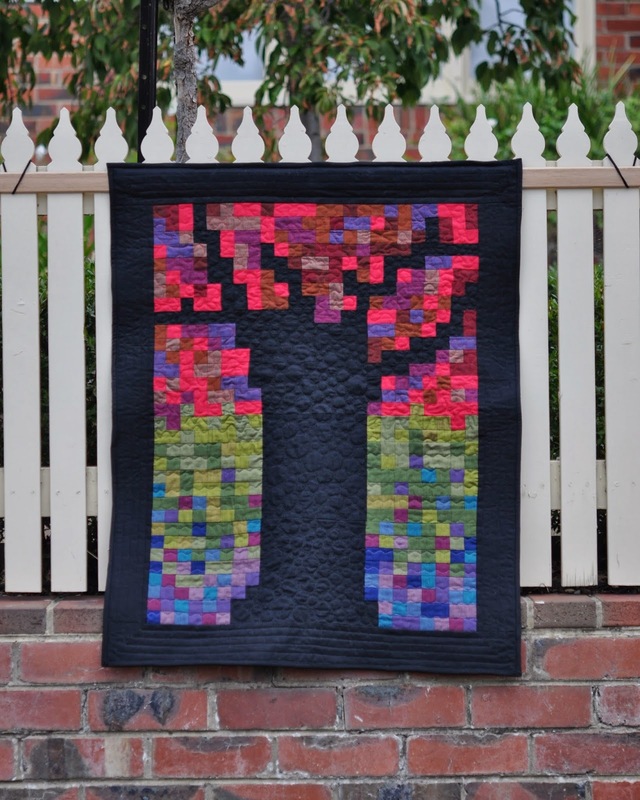 I pebble quilted the black trunk and branches and did a meander over the leaves using red thread. 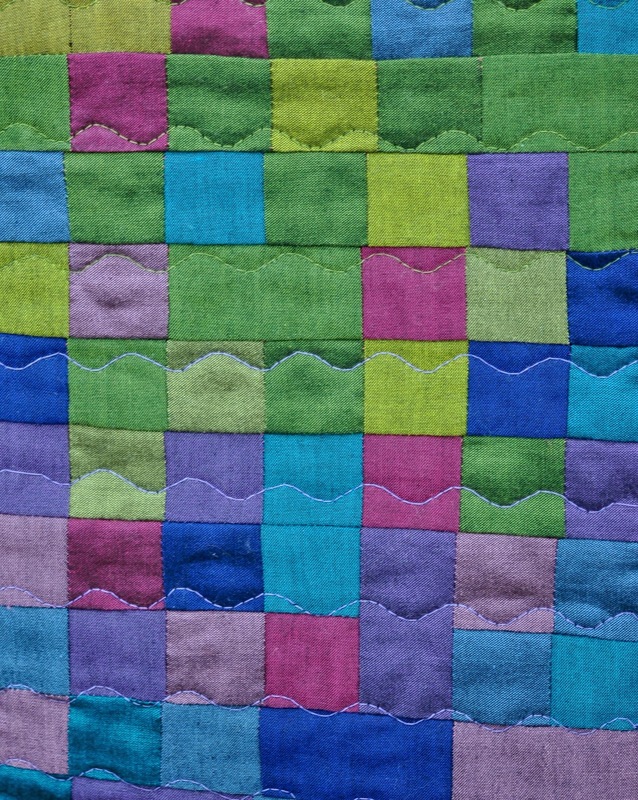 Then I used a wavy stitch to quilt the background grasses. 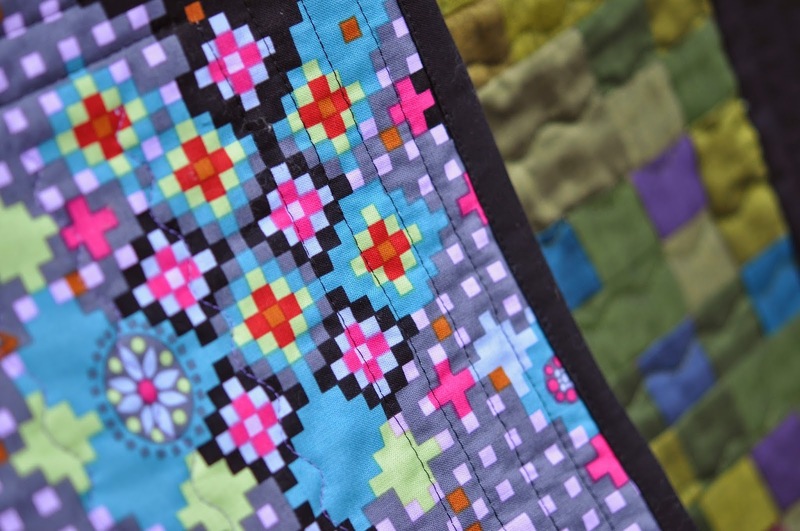 For the backing, I used a gorgeous pixel-y fabric from Anna Maria Horner's Dowry collection. Purchased, of course, from Amitie! Thanks so much Lynne for sending me these gorgeous fabrics. I've had such fun playing with them.